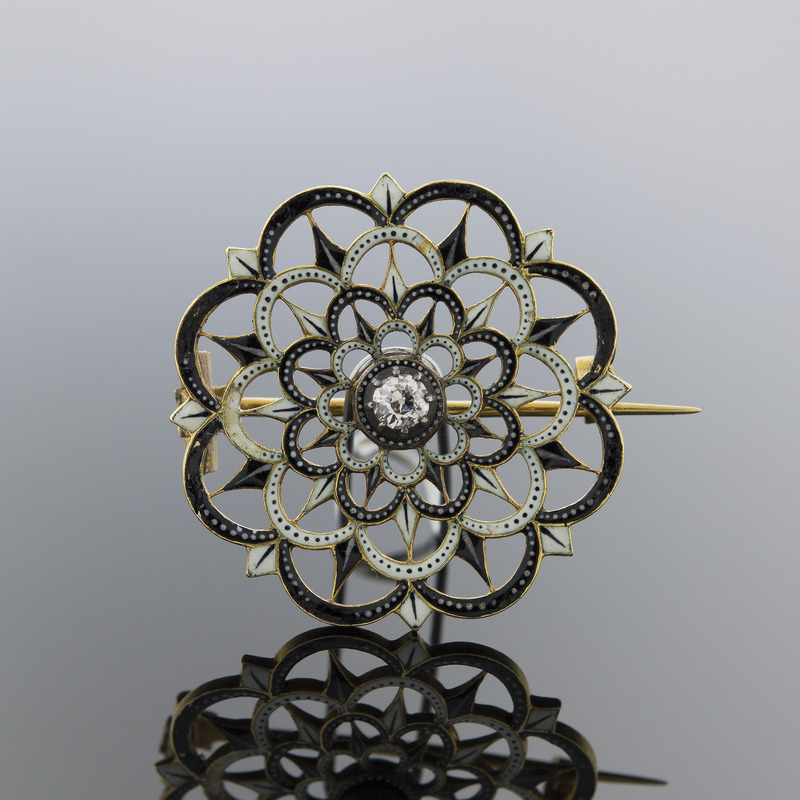 A smaller brooch featuring four concentric black and white enamel scalloped circles centered around one old mine cut diamond. Signed "C.G." for Carlo Giuliano.